NASA announced the selected Mars 2020 rover instruments Thursday at the agency’s headquarters in Washington. Managers made the selections out of 58 proposals received in January from researchers and engineers worldwide. Proposals received were twice the usual number submitted for instrument competitions in the recent past. This is an indicator of the extraordinary interest by the science community in the exploration of the Mars. The selected proposals have a total value of approximately $130 million for development of the instruments. Planning for NASA’s 2020 Mars rover envisions a basic structure that capitalizes on the design and engineering work done for the NASA rover Curiosity, which landed on Mars in 2012, but with new science instruments selected through competition for accomplishing different science objectives. 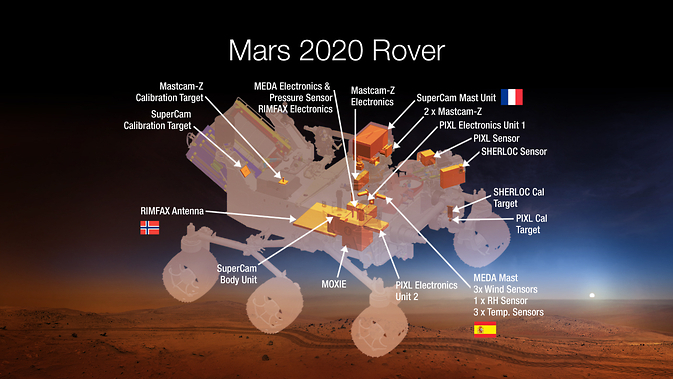 Mars 2020 is a mission concept that NASA announced in late 2012 to re-use the basic engineering of Mars Science Laboratory to send a different rover to Mars, with new objectives and instruments, launching in 2020. NASA’s Jet Propulsion Laboratory, a division of the California Institute of Technology, Pasadena, manages NASA’s Mars Exploration Program for the NASA Science Mission Directorate, Washington. The new rover will carry more sophisticated, upgraded hardware and new instruments to conduct geological assessments of the rover’s landing site, determine the potential habitability of the environment, and directly search for signs of ancient Martian life. 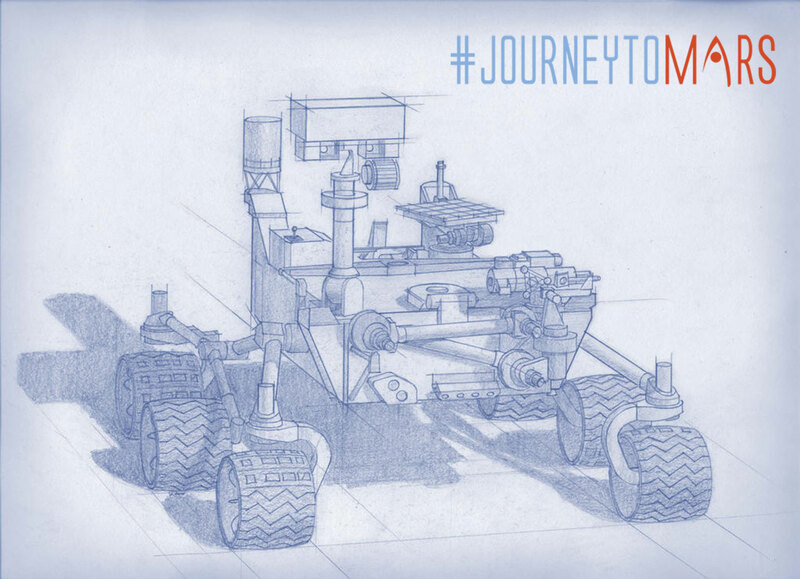 The Mars 2020 rover also will help advance our knowledge of how future human explorers could use natural resources available on the surface of the Red Planet. An ability to live off the Martian land would transform future exploration of the planet. Designers of future human expeditions can use this mission to understand the hazards posed by Martian dust and demonstrate technology to process carbon dioxide from the atmosphere to produce oxygen. These experiments will help engineers learn how to use Martian resources to produce oxygen for human respiration and potentially as an oxidizer for rocket fuel. Mastcam-Z, an advanced camera system with panoramic and stereoscopic imaging capability with the ability to zoom. The instrument also will determine mineralogy of the Martian surface and assist with rover operations. The principal investigator is James Bell, Arizona State University in Tempe. Planetary Instrument for X-ray Lithochemistry (PIXL), an X-ray fluorescence spectrometer that will also contain an imager with high resolution to determine the fine scale elemental composition of Martian surface materials. PIXL will provide capabilities that permit more detailed detection and analysis of chemical elements than ever before. The principal investigator is Abigail Allwood, NASA’s Jet Propulsion Laboratory (JPL) in Pasadena, California. Mars Environmental Dynamics Analyzer (MEDA), a set of sensors that will provide measurements of temperature, wind speed and direction, pressure, relative humidity and dust size and shape. The principal investigator is Jose’ Antonio Rodriguez-Manfredi, Centro de Astrobiologia, Instituto Nacional de Tecnica Aeroespacial, Spain. The Radar Imager for Mars’ Subsurface Experiment (RIMFAX), a ground-penetrating radar that will provide centimeter-scale resolution of the geologic structure of the subsurface. The principal investigator is Svein-Erik Hamran, the Norwegian Defence Research Establishment (FFI), Norway. Curiosity recently completed a Martian year on the surface — 687 Earth days — having accomplished the mission’s main goal of determining whether Mars once offered environmental conditions favorable for microbial life. The Mars 2020 rover is part the agency’s Mars Exploration Program, which includes the Opportunity and Curiosity rovers, the Odyssey and Mars Reconnaissance Orbiter spacecraft currently orbiting the planet, and the MAVEN orbiter, which is set to arrive at the Red Planet in September and will study the Martian upper atmosphere. In 2016, a Mars lander mission called InSight will launch to take the first look into the deep interior of Mars. The agency also is participating in the European Space Agency’s (ESA’s) 2016 and 2018 ExoMars missions, including providing “Electra” telecommunication radios to ESA’s 2016 orbiter and a critical element of the astrobiology instrument on the 2018 ExoMars rover. NASA’s Mars Exploration Program seeks to characterize and understand Mars as a dynamic system, including its present and past environment, climate cycles, geology and biological potential. In parallel, NASA is developing the human spaceflight capabilities needed for future round-trip missions to Mars.